15 dots (Ner Pulli) Kolam. 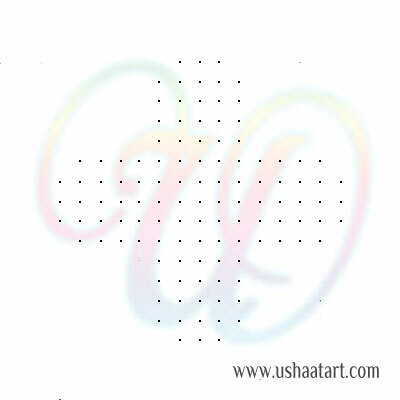 Put 15 dots 3 times, 13 dots, 5 dots 4 times then 3 dots. Draw small flowers around middle star. 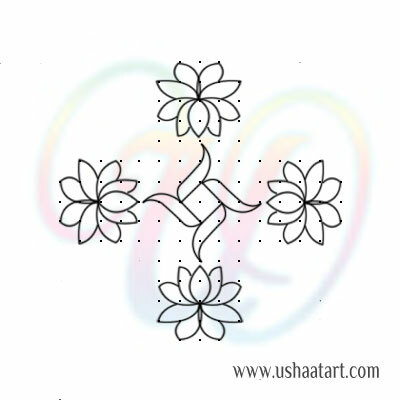 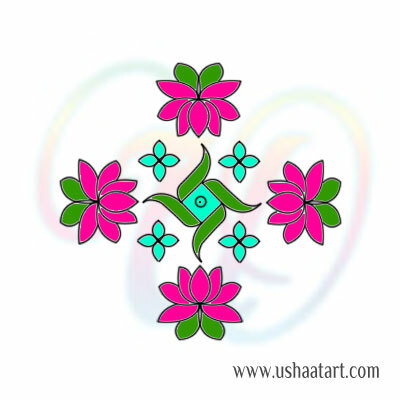 Circle the middle dot and color the kolam.